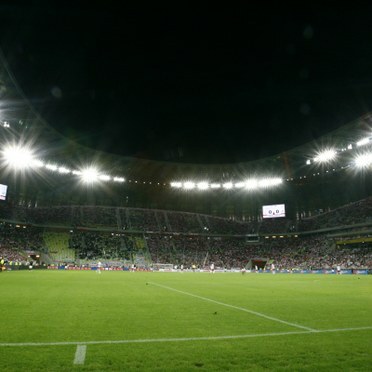 42,000 fans and millions of TV viewers will enjoyed brighter football during the UEFA European Championships in Poland thanks to Thorn's high efficiency floodlighting systems. 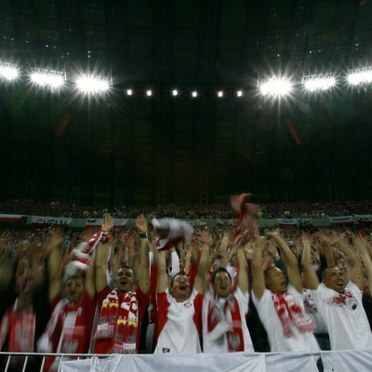 The PGE Arena in Gdańsk - one of eight new-build venues constructed for the Euro 2012 tournament - has chosen a total of three of Thorn's floodlights. Over the pitch Mundial projectors, employing 2kW metal halide lamps, provide excellent player and spectator viewing, specifically designed to meet colour TV and UEFA standards. Flat glass Troika floodlights light the stands, while the car park with 2,100 spaces boasts an impressive Areaflood scheme.